What can you do with 5 bucks? For one, either treat yourself to Starbucks or grow your business with Fiverr, the ever growing marketplace for creative professionals, unique for its’ tiny price – starting only at $5. And with that, there are bound to be hundreds of gigs that are useful to your business, ranging from logo design, WordPress fix, video introductions, infographics and more. If you are a new Fiverr user looking to learn the ropes on how to buy a gig and get exactly what you want, then this post is for you. Based on my researches and experience, below is the ultimate guide on how to buy from Fiverr. To start — go to Fiverr (this link opens in a new window so you can reference the guide as you work). If you didn’t have an account yet, click on the Join button on the top right corner. Now you will see a sign up form. Or sign in with your social media accounts in one click. I recommend to sign in with Facebook, Google+ or LinkedIn as it saves more time and keeps all your credentials in one place. 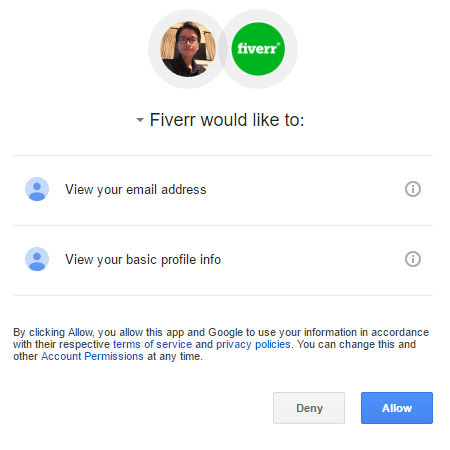 Simply click on one of the social media buttons you are most comfortable with, then click the Allow button so Fiverr can access your basic informations such as name and email address. 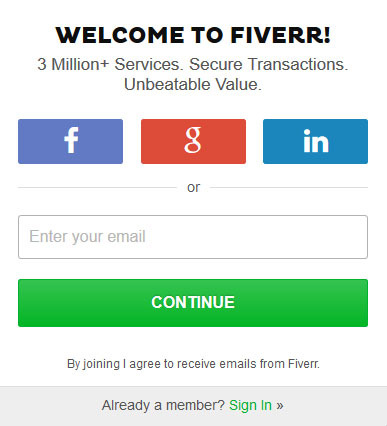 Once you’re done, you will be redirected to Fiverr’s home page to start making your first purchase. Depending on what your need, choose a category from the top menu (whether it’s Graphic & Design. 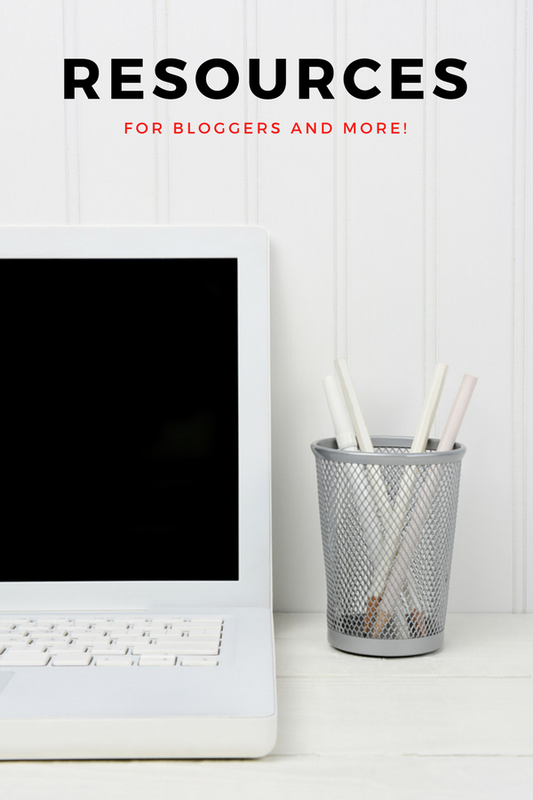 Digital marketing or Writing & Transition). Or you can simply type in the search box the exact project you are looking for. For example, I’ll type in “flat logo design”. Then hit enter. 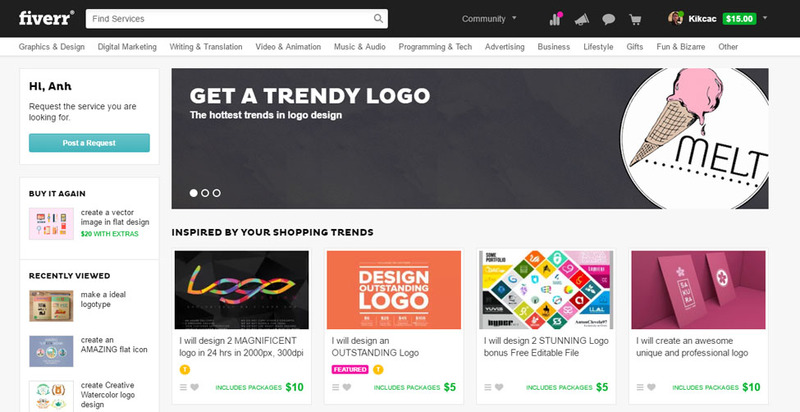 Now you’ll see hundreds of gigs or shops to make flat logo designs. Alright, these tiny samples all look pretty great, but you only need one so let’s find that best gig. It may seem overwhelming at first but the truth is you don’t need superpowers to do that. 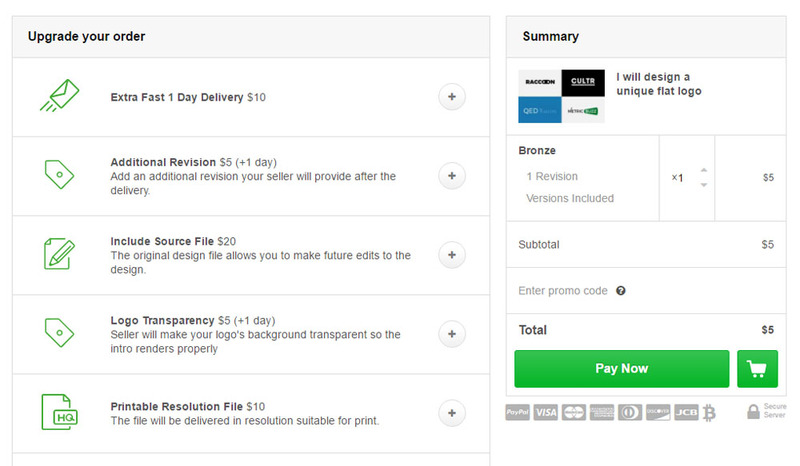 Like any good online marketplaces, Fiverr has filter options in place on the left hand side. Scroll down until you see the Seller Level category. Then check both the Level Two and Top Rated Seller options. Level Two sellers and up are those who had at least completed 50 individual orders within two months while maintaning a 4.5 star rating or above, which basically means these folks are more experienced and trustworthy. Go over at least 10 gigs. When you first started, you may be tempted to go with the first shiny thing. But chances are that you will not find the best seller on your first try. If you want great work done, don’t rush. Shop around and add the best gigs to your favorite list (on the top right corner of the screen) then take a second look at them all, their testimonials and seller level to decide the best option for you. Read through the full description. It goes without saying that you’d want to know what exactly your seller is offering (for example, are you allowed to ask for revisions?) as well as their previous works, to avoid later confusions. If it looks too good to be true, it’s fake. Some sly sellers may use others’ works to endorse their portfolio. Make sure to buy from those who has at least 5 real samples (the samples that has a buyer’s comment underneath). Look at the the Estimated time of Delivery. If you want your work done fast, you’d want to make sure the estimate time of delivery is reasonable or you may be stuck with a project on hold for a while. Always contact the seller first, always. There is a contact button on the seller’s profile on the right hand side of every gig. By contacting them, you’ll be able to find out if they are a good fit for you. And if you are looking for a more customized project from them, they can also give you person a custom order. The best thing about it all is that if you buy a bad one you’ve only wasted $5. After you’ve found that perfect offer and have contacted the seller to make sure they are comfortable with your project, choose your package offer on the right hand side of the gig. Then click the green Select & Customize. On the next page, choose any order upgrade you need (I would usually skip most of these), then click the Pay now button. Now choose your method of payment between PayPal (the fastest way), Visa or Bitcoin. After you’ve completed your purchase, you’ll be directed to the pending order page. This means you’ve successfully ordered your first Fiverr gig! Your payment is now held by Fiverr and is only released to the seller 14 days after the order is completed. Now you will be prompted to fill in your order requirements before your seller can finally work on it. Be as specific as possible, give them all references they need. Even if you want a creative work done, I still recommend you give the the detailed informations to avoid being disappointed in their personal take. After you’ve sent them your awesome requirements, what’s left is to let them do the job and get back you. Usually the seller will complete the job right on their Estimated time of Delivery and Fiverr will email you once there are any news on your order. In the mean time, to check your order statuses, hover over your name in the top right corner. Click My Orders, then Orders. This allows you check the statuses of your current orders at a glance. Note that you need to check before hand whether or not the seller offers free revision or are there any additional costs. You’ll receive an email once your order is completed. Click on the green Review your order in your email. You’ll be taken to your order page with the seller’s finished project. Or you need a revision, then click on the Request Modification button. Be specific. Which part of the design do you want to fix, what color hex do you want. The more precise you are, the more your seller would be able to deliver. I also like to give them a mockup via Photoshop or a sketch so they’d know exactly what I’m looking for. Be nice and courteous. Sellers are also people and if you are nice to them, they are much more likely to do a better work for you. If the seller under delivers and you are not satisfied with the work done, you are entitled to ask for a refund. First, make sure that you’ve given your seller a chance to figure out ways to avoid this. If all fails, click on the Resolution Center button on top of your order page, then click Request a Mutual Cancellation. Remember though, that you need the seller’s consent to ask for a mutual cancellation. The only time I did this was with a very nice seller who has a *Money back guarantee” on their gig. Now that you’re satisfied with your order, click the green Complete Order option. 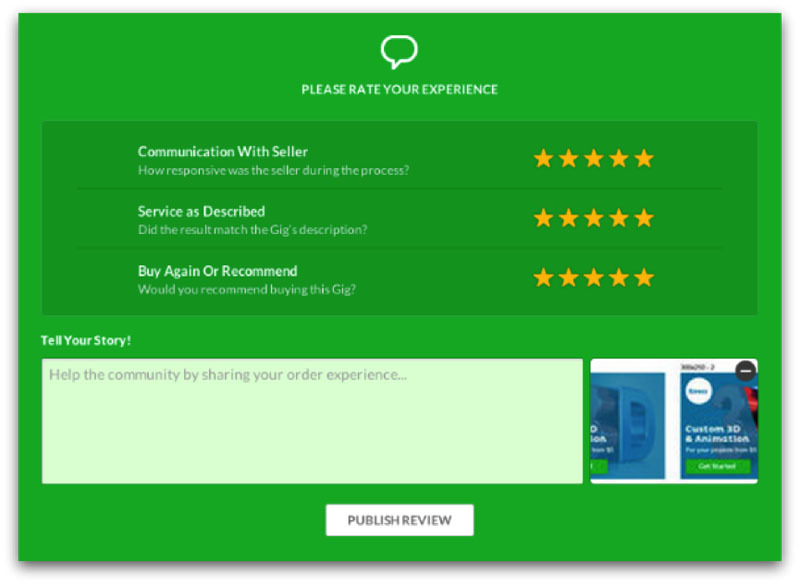 You will be prompted to rate, leave a public comment and/ or tip the seller. I highly recommend rating and commenting, not only does it help you create a better relationship with your seller for future projects but help other buyers as well. Once you know what to look for and how, you can get a lot more done on Fiverr for 10 times less the price elsewhere. With the right tools, you can really take your business to the next level. Give it a try and get something done today. Feel free to drop a comment if you have any questions about Fiverr, I’ll try my best to answer! 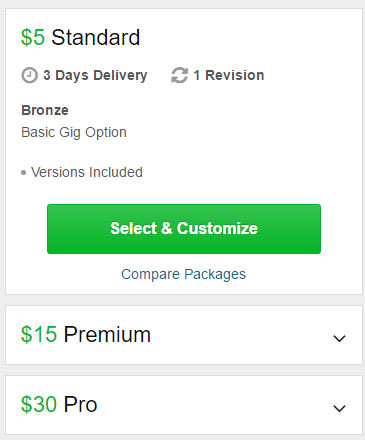 For someone new to buying gigs on Fiverr, be careful not to fall into the trap of ‘too good to be true’ gigs. Some are scammers on Fiverr. To save myself from a bad gig, I have a checklist of things I look for before I engage anyone on Fiverr, might be helpful to you or your readers. This is exactly what I was searching for! Well done on, and thanks for sharing this first-class tutorial on how to buy from Fiverr. Fiverr tends to be a minefield if you don’t know what you are doing. Thanks to this I should now be able to get better quality work done and with less hassle! Thanks Anh, I have a website and have just attempted to design my own logo using a free program called Canva. Let’s just say it didn’t turn out exactly how I thought it would. My first instinct was then to go to a professional logo designer but I don’t think I’ll be able to afford their services at this point in time. I’ve heard a lot about Fiverr but I’ve been avoiding it as i just assumed it would be low quality work but after some investigation, it seems that I was wrong, for the most part anyway. I just created an account but didn’t really have a clue where to start so your article has come just at the right time. Quick question, have you ever used Fiverr yourself and if so, were you happy with the end result? Lee, I have quite a bit of graphics and coding done on Fiverr. And I’ve been nothing but satisfied with the sellers, they were very dedicated and some are willing to go the extra for you. Thanks for the tips. I have heard so much about Fivver but haven’t used them for my business. This will help me for sure. The other thing I didn’t read in your post is how do I get the info from Fivver? For example, will I just download the files sent? Are they safe to download? I’m wanting a logo, any recommendations? Billy, depending on what you buy, you may receive files to download. Whether they are safe or not depends on the seller, that’s why I recommend reputable Level 2 or above folks who has been in the business for quite a while. 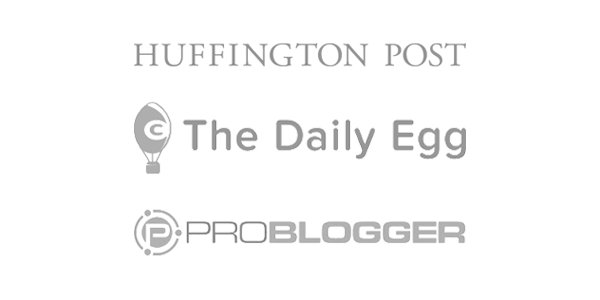 As for logos, I did two for Bloggingthing on Fiverr. Here are the great sellers I’ve had a chance to work with, logo_business and Kanishka. If you like flat and minimalist design, I recently found this awesome seller m03h4mm4d. I run a few blogs myself and I am considering outsourcing for my logos and header images. I am glad I read your blog because I am now going to be looking for a Level Two or Top Rated Seller because I want someone that is reliable and trustworthy. Have you personally used services from Fiverr before? Excellent article on how to use and buy from Fiverr. I have definitely heard of it before and explored a few times in the past, but have never used it. It seems like a great place to get people to do things that you would like or need, but generally don’t have to pay more than five dollars for. Thank you for posting this! Anh, I love it! I am totally looking forward to using Fiverr one day. I am in internet marketing and I’ve heard about them but I’ve never had the pleasure of using the service. I’m glad you wrote this post because it is much easier than one would think to get a job done. 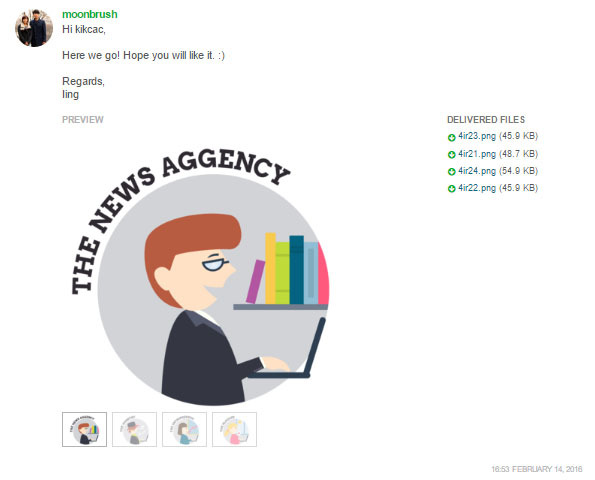 Have you used them regularly for your projects and what do you think is the best about Fiverr? Jonathan, when I need a task done, I always look at Fiverr first because it’s the most cost effective freelance site out there (starting only at $5!). A lot of Bloggingthing’s work including HTML, graphic an logo was done on Fiverr. I think the best the site is that despite its’ tiny price, there are a lot of professional and dedicated sellers. 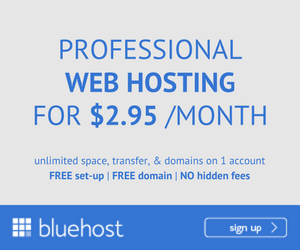 Fiver is a great site to get all kinds of services from. Just last week I used Fiverr to get a motivational logo for one of my upcoming projects. They make the whole process easy and the users are usually quick to respond. Great article and very well written. I look forward to seeing the whole Fiver platform grow. Thanks, Chawn. Fiverr is pretty big as is but I’m pretty sure with the boom of online marketing, it’s gonna grow even more. Brilliant breakdown about Fiverr. I had heard about Fiverr but had never used it before but this guide is excellent. I followed your guide and set up an account and I am about to lodge my first request for some work. It is a basic request so hopefully won’t be too hard. Awesome, Russell! I hope you get something nice for your project. 🙂 Let me know how it goes. Sometimes, though, you don’t always get what you ordered. A few times, I ordered a logo from 3 different “designers”. All 3 times they were crap. They looked like they were done in Paint… from 2000. He he. But I guess that’s what you get for invested a measly 5 bucks on something that is so important for your brand, huh? Wow, Julian. I’m sorry about your bad experience with Fiverr, man. I had some nice guys make my logos for Bloggingthing (I changed it overtime). If you like some recommendations, here they are: logo_business and Kanishka. Very interesting post. I had never heard of Fiverr before. Sounds really cool with all the different changes you are able to work with for little money. I will have to check back and check it out some more at a later time. Lots of success with you online business. Hi Anh, thanks for your blog about Fiverr. I didn’t even now such a service exists. How cool is that to get something done for $5! I will definitely check it out. I like how you explained step by step how to find a service that will suit me and my needs. And as your quote said, it is just $5. So if I’m not 100% happy it’s not the end of the world. So one can’t go wrong. All the best from Anke. Thank you for this Fiverr guide. I have been thinking about getting some logos done but didn’t really know where to start. I especially liked your explanation of the levels and the ratings. You said you don’t usually use the all of the upgrades. Have you found some to be unnecessary and a waste of money? Melinda, it depends on the seller, but I found that the good ones don’t give the kind of upgrades that you absolutely need to have (upgrade for revisions, is a good example). Of course, if you want more than one task done, and the gig have upgrades for that, it’s something you should go for. I honestly never heard of Fiverr before stumbling upon this website, but I must say it is quite interesting what I learnt reading through this page. I love the fact that everything was broken down to the point that if you ever got lost in the buying and application process, you could always refer back to this website and get a detailed walk through on the steps you need to take. Great stuff!! Dorian, Fiverr is certainly worth a try to develop your blog! You kind of solidified it for me how useful the Fiverr program can be. I have never heard anything particularly negative about this program. I do know they have been around for quite some time. I was a member at one time but didn’t utilize what was available there. Your information on finding a gig was really helpful. Nice guide and review of Fiverr. I have seen negative reviews on this before but your article cleared quite a few things up for me. It seems most of the negative reviews are from people that didn’t spend their money wisely and expected more than their fair share. Thanks, Wing! Fiverr is best for small chunk of tasks. If you want a whole site build, for example, it’s gonna be tough. I used to do business with Fiverr but the work quality is a problem as always, but I’m not sure how is it going today? Definitely gonna try it again. Louis, my recent experiences with Fiverr has been awesome. The key is doing small tasks and finding the right gigs. Good luck! Thank you for the comprehensive discussion about using Fiverr. Your step-by-step is very clear and easy to follow. How many times have you used the designer section? Another thought crossed my mind while reading it. Could you please review the steps involved in becoming a freelancer through Fiverr? There are many of us who write content and can do graphic design that may benefit from it. Any suggestions? I’ve used Fiverr for design 3 – 4 times for Bloggingthing. As for the steps to become a freelancer, I am not experienced with it. I’d suggest you read guides like this one, if you are interested. Thank you for writing a detailed guide on the first Fiverr gig. I’ve heard a lot of negative feedback about Fiverr however most people don’t understand that you get what you pay for. I think it’s possible to get the best deal out of Fiverr following your guide. I’ve bookmarked this page for future reference. Josh, great point. Fiverr works best for small tasks like logo design or illustrations. But if you are looking for a whole customizable site design for $15, it’s not likely gonna work. I’ve always thought about using fiverr. I was trying to find someone to help me with a logo design. The problem I’m running into is that there are sooo many different people to choose from how can you be sure that you’re not going to receive the same thing that someone else received? Retnuh616, I also had my logo done on Fiverr so here are my advices: find a seller that has the style you are looking for (do you want a flat, minimalist, 3D or mascot logo? do you want a fun or professional style?). After that, check if the seller allows multiple revisions. Last and not least, to be satisfied with your project, I encourage you to have your own rough sketch of the logo for the seller to inspire from. Very informative post. And the tools you have shared, I will surely be trying. I am not good at using Fiverr but you have shared some amazing tips and tricks. Wow, before I read the article I thought that Fiverr is a completely new and complicated “world” where I need to learn how to buy and ask for work to be done. I never used it because it looked overwhelming. 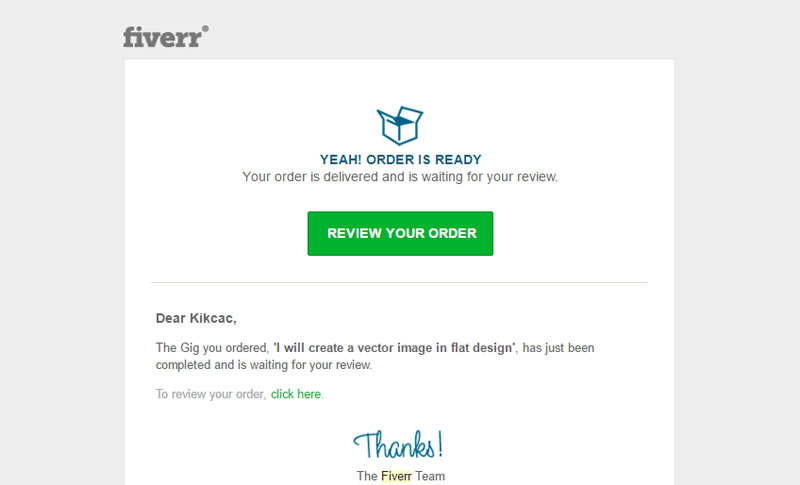 As I followed along your article, inside Fiverr I was able to place an order for my business within less than 5 minutes! Thank you for your guide, really helpful and highly recommended if you don’t know how to use Fiverr ! I have always been curious about using Fiverr for contracted work as I get some of my other businesses together and you helped ease some of the pain for me. Thanks for the in depth insight on what it really is and how to operate through the site. Much appreciated, keep up the good work. Thanks, Jeff. I hope you are more comfortable with Fiverr now. It’s a good place to start when you are on low budget or just want to save up a little. Really liked your post as I’ve been considering using Fiverr for later on in this process once I can afford to outsource some of my content creaton. It’s an amazing site. I’ve used it for small jobs in the past and have been impressed with the results. Great post! Wish you the best of luck in the future! Well written article. I have not purchased from Fiverr before so I have no idea how it is like. Your article is easy to follow and understand. I would probably give it a try to get a new banner for my website. Thanks for sharing this wonderful information. Keep up the good work!